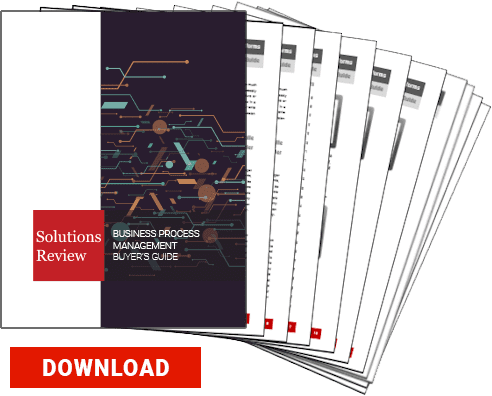 The marketplace for the best Business Process Management (BPM) platforms is maturing on a daily basis, getting more and more crowded with excellent software tools for a variety of use cases, verticals, deployment methods and budgets. 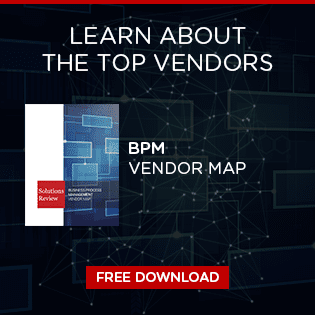 Traditional BPM software providers continue to offer process modeling and automation capabilities that have remained staples to the market since widespread adoption of BPM software began more than a decade ago. Disruptive newcomers and new customer trends are bringing new technologies to the table, however, so that organizations can take full advantage of data. There are large providers we refer to as ‘mega-vendors’, like Appian, Pegasystems, TIBCO and IBM. There are also the lesser-known innovators with interesting products that play in niche areas, such as BP Logix, Signavio, KiSSFLOW and WorkflowGen. In an attempt to assist you with what can become a daunting task of selecting the right product, these are the top-24 best business process management platforms for 2018. Agliloft offers a highly configurable BPM suite that’s comprised of a flexible and robust data module. The module features a powerful workflow rules engine giving it the ability to map any business structure and automate complex business processes. Agiloft’s BPM software is built on an adaptive platform that makes it quick and easy to customize and extend every aspect of the program using a browser-based GUI, without writing a line of code. Appian’s BPM platform is a model driven app development solution that allows both experienced and citizen developers to build process-centric and case-centric applications with the ability to monitor and improve business processes in response to changing needs. Appian’s Digital Transformation Platform combines the speed of low-code development with the power of industry-leading process management and more. It’s the secret weapon that puts your digital transformation on the fast track. Software AG’s offering, webMethods BPM solution, allows users to analyze and optimize their business processes to increase productivity. With the webMethods BPM platform, users can document business processes and dependencies between organizations, processes, data, and IT-applications. Design your Digital Enterprise using Software AG’s webMethods Business Process Analysis Platform to document, analyze, optimize and communicate processes to achieve business process excellence across departments, disciplines, systems and geographies. AuraPortal is an Intelligent Business Process Management (iBPM) software provider that looks to help users optimize and transform their business processes. The no-code, business and user friendly BPM platform is highly intuitive and incredibly efficient, allowing for real time control and analysis of all business processes and activities. Understand the ever-changing needs of the digital market and leverage cutting-edge BPM technology to empower innovation and ensure continuous improvement with AuraPortal. AXON IVY offers an intelligent BPM suite, the Digital Business Platform, that’s used by companies for process execution and workflow management. As the foundation for a successful and agile transformation of your organization, the tool features workflow automation to cut down on manual tasks and brings people, data, and systems together. The Digital Business Platform BPM Suite combines the latest technology with the company’s experience from over a thousand live projects over the years. Bizagi’s BPM offering, the Digital Business Platform, is he most powerful and intuitive software for digital transformation. The platform enables collaboration between business and IT in rapidly building and experimenting with process applications, boosting operational productivity and speed while maintaining IT control. Available both on-premise and in the cloud, Bizagi’s BPM tool helps users improve customer experience while optimizing and maintaining important business processes. BP Logix offers Process Director, a compliance management solution that offers both workflow and business process management capabilities. This software solution is best suited for organizations in highly regulated industries such as healthcare, government, and finances. As a complete BPM solution with business process automation capabilities, Process Director enables both IT and business users to create robust business process management and workflow solutions to address a variety of business challenges. Bpm’online is a leading provider of BPM and CRM software. Bpm’online Studio is an intelligent low-code platform, which enables businesses from various industries, as well as system integrators and software developers to create custom applications exactly for their specific business needs. Bpm’online studio allows to manage business processes of any complexity and easily build applications for your specific business needs. FlowForma is revolutionizing the traditional BPM space with an innovative approach to developing award-winning process automation and workflow products. An award-winning Office 365 app, FlowForma Process Automation enables business users to deploy business processes with speed and flexibility, no matter what the complexity. Sitting on the SharePoint platform, the FlowForma Process Automation tool incorporates forms, workflow, document generation and decision making all in one place. Monday.com (formerly dapulse) is a cloud-based BPM solution ideal for small to medium sized businesses. The solution allows all members of a given project can see all relevant project details and achievements. Monday uses TEST JSON API allowing users to handle cross-origin resource sharing requests, all from a single platform. 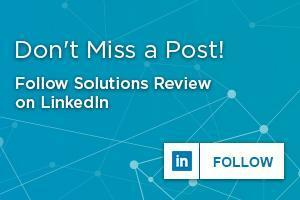 With mobile capabilities, you’re always up to date with the latest process changes and/or improvements. Integrify is a business process management and workflow management software application for both medium and small businesses. The software focuses on rapid deployment, broad integration, ease of use, and scalability. Integrify looks to make businesses more efficient and organized, providing users with workflow automation and easily implemented request management. Issuetrak offers an issue tracking and business process management software. The robust and flexible software puts you on the fast track to high performance with auto assignment, flexible reporting, automatic alerts, and custom forms that let you automate, customize, and maximize your everyday workflow. Issuetrak’s platform provides users with the ability automatically assign new issues based on their preferences and increases efficiency by pre-filling forms for recurring issues. K2’s process automation platform makes it possible to deliver integrated, mission-critical process automation at scale and quickly roll out lightweight departmental workflows across the business. K2’s low-code workflow software allows you to automate every process in your organization. This includes both lightweight departmental processes and more complex processes that reach across departments or service customers. No matter which process you’re improving, K2 enables your people to build the requisite apps, digital forms, workflows and mobile solutions without writing lines and lines of code. KiSSFLOW from OrangeScape is a cloud-based BPM solution suitable businesses of all sizes. The software automates business processes and monitors performance. Additionally KiSSFLOW helps initiate process requests, view items that require user actions, and approve pending tasks. As the #1 workflow management software used by 10,000 + companies, KiSSFLOW BPM software lets you create an unlimited number of automated business applications. Nintex offers advanced workflow and intelligent process automation (IPA) tools that empower line of business workers to automate, orchestrate and optimize business processes without waiting for IT. It’s no-code platform allows users to intelligently automate virtually any business process—from simple to sophisticated—giving you back the time you need to think, dream, create, build, and share. With the Nintex platform, you can pinpoint and remove performance bottlenecks to power continuous process improvement. Pegasystems offers a Business Process Management tool, The Pega Platform, that is developed on Java and OOP concepts. The platform allows users to quickly assemble an executable business application using visual tools. Pegasystems has an extensive history of developing applications that offer support services to carry out daily operations like sales, marketing, and services. As recognized leader in artificial intelligence, digital process automation, and customer engagement, Pega powers enterprise digital transformation with a unified, no-code platform. Perfect Forms is a feature rich, online form building application that offers both workflow and BPM capabilities. Using a drag-and-drop interface, users can quickly build HTML based web form solutions with no coding required. In addition to its form building capabilities, PerfectForms also provides workflow management support using the same visual designer used for forms. With the company’s easy to use, drag and drop editor, you can build simple or complex BPM solutions without coding. Simply drag and drop objects on a canvas to build a user interface, workflow and powerful reports. Signavio’s Business Transformation Suite is an intuitive BPM platform for professional process modeling. Thanks to innovative web technology, you can get started right away and include your colleagues in collaborative design. Whether you want to create current-state documentation or target concepts, this is your best choice for process modeling. With Signavio’s Business Transformation Suite, you benefit from an integrated solution that allows you to model, analyze, optimize and execute your processes and decisions in one platform. TIBCO offers a highly flexible, all-in-one platform offering full visibility, resource management so businesses are in full control of their operations. TIBCO’s ActiveMatrix BPM facilitates valuable business insights and actions by presenting the right data to the right person in a consumable fashion at the right time. This BPMS capability allows companies to fuel digital transformation by enabling better decisions and faster, smarter actions. We provide solutions that can truly transform your business, not just automate it. TrackVia offers a user friendly, low-code workflow management offering that’s often viewed as an alternative to many traditional BPM platforms. As a low code platform, users can quickly assemble their applications to match their unique business processes without extensive IT assistance or coding knowledge. As an alternative to spreadsheets, legacy databases and complicated enterprise systems, Trackvia allows you to track, manage and automate critical business processes or operational workflows with greater efficiency, speed and ease. WorkflowGen is a Canadian company that offers low-code business process management solutions for organizations of all sizes. The software can be deployed through the cloud or on-premises. WorkflowGen includes a powerful .NET workflow engine optimized to run complex processes while handling a high number of transactions. Its full-featured web-based Administration Module provides a fluid user experience to manage your processes. This allows you to focus on process configuration and integration points thanks to advanced workflow features available out-of-the-box. Wrike offers cloud-based collaboration and project management software that scales across teams in any business. By putting everything right at your fingertips – whether it’s forwarding emails, accessing files in the cloud, working with documents and images, or integrating with other systems – Wrike apps and integrations enable you to easily have all your project information in one place and automate cross-platform workflow..
Zoho Creator is an online application builder designed to help organizations better manage their business processes. With an intuitive drag–and-drop interface, users can develop their own custom applications without the hassle of coding. Zoho Creator offers a massive array of tools in addition to a feature-rich development platform. You can even make mobile apps to complete tasks on the go. Zoho Creator is cloud software to create custom applications on your own without any prior coding experience or IT expertise.